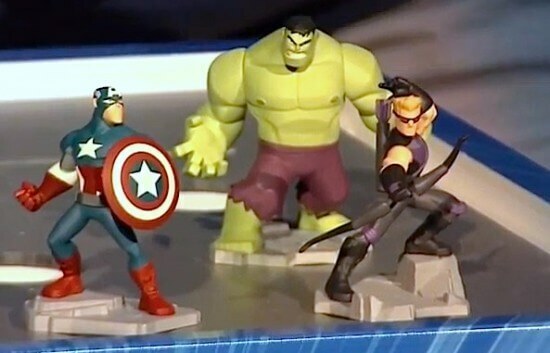 At a special event in Hollywood, Calif., today Disney Interactive unveiled the next generation of their popular Disney Infinity video game, introducing Marvel characters to the mix. 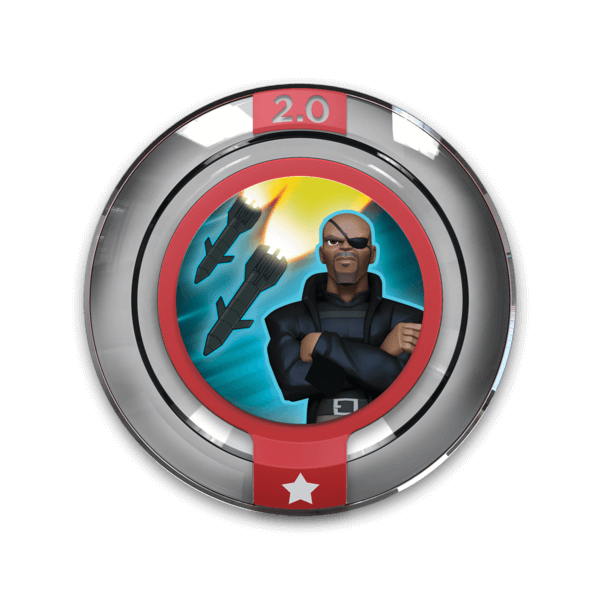 Immediately bringing some Marvel flair to the special announcement event, Disney Infinity 2.0 was introduced via a special transmission by none other than Nick Fury, portrayed by Samuel L. Jackson. 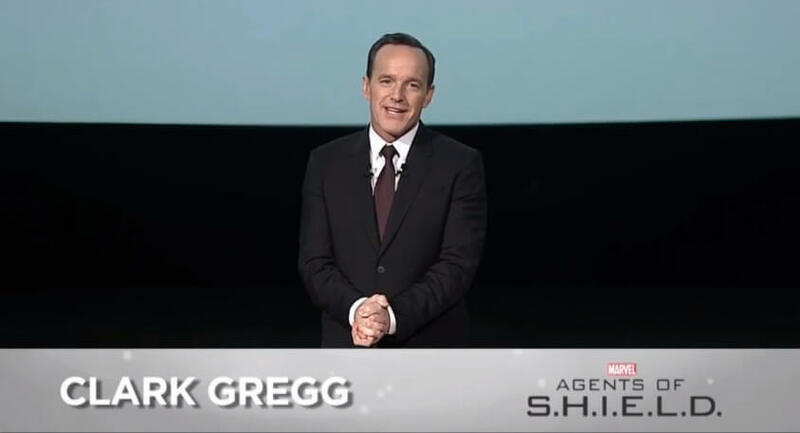 Then Agent Coulson himself, actor Clark Gregg, came out to introduce Disney Interactive president Jimmy Pitaro. 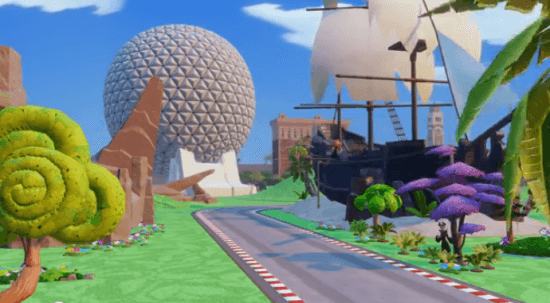 Before getting into the details of the new game, Pitaro talked up the first version of the game, noting that it has outsold competitors with more than $500 million in sales and 3 million starter packs sold. 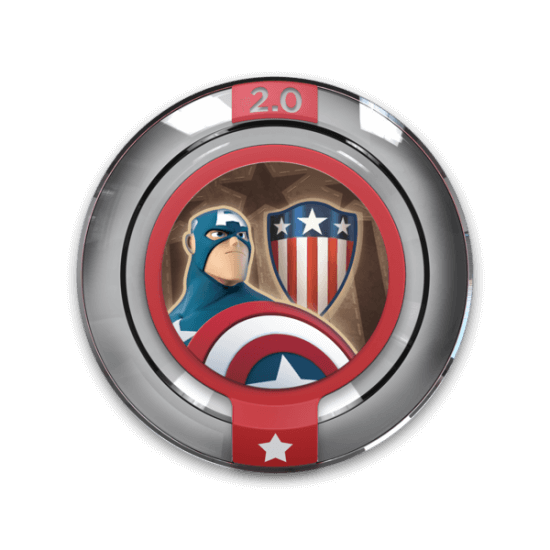 Enhancing the game, more than 10 million free Toy Boxes have been downloaded, many created by the fan community. 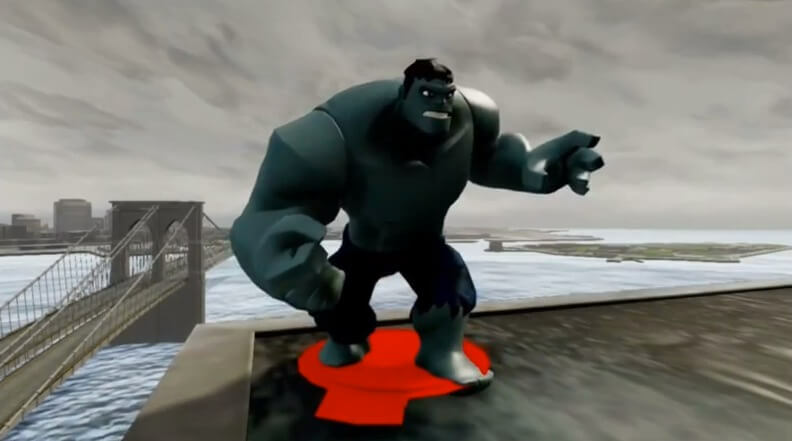 Adding to the success, Disney Interactive is now infusing the gaming platform with all the excitement of Marvel. 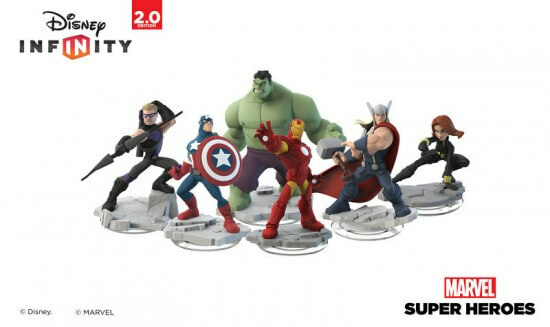 The official name of Disney Infinity 2.0 is “Disney Infinity Marvel Super Heroes” – and it’s big. 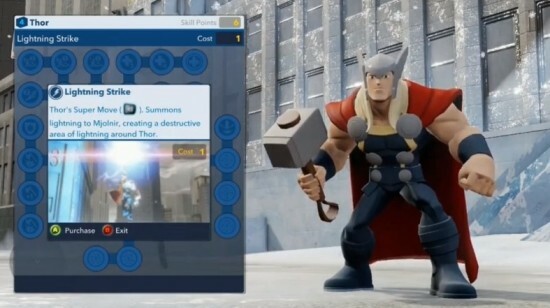 Characters to be included in the new game will be Hulk, Iron Man, Captain America, Black Widow, Hawkeye, Thor, Spider-Man and even popular villain Loki. 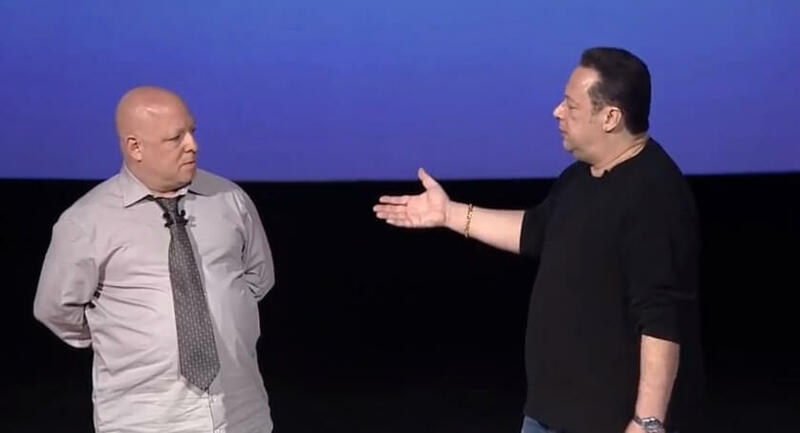 Then Chief Creative Officer of Marvel Entertainment Joe Quesada took the stage to explain how involved Marvel has been in the development of Disney Infinity Marvel Super Heroes, taking its decades of comic book history and applying it to the new video game. 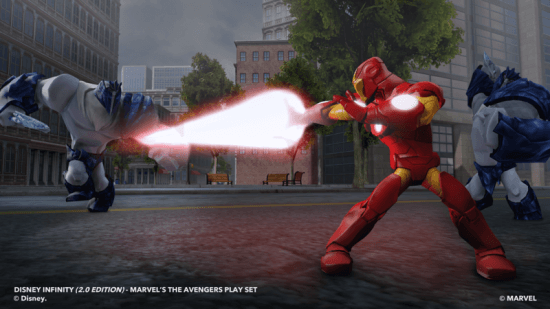 Joining him was Marvel writer Brian Michael Bendis to explain how he has been making sure the video game will blend with the rest of the Marvel universe. 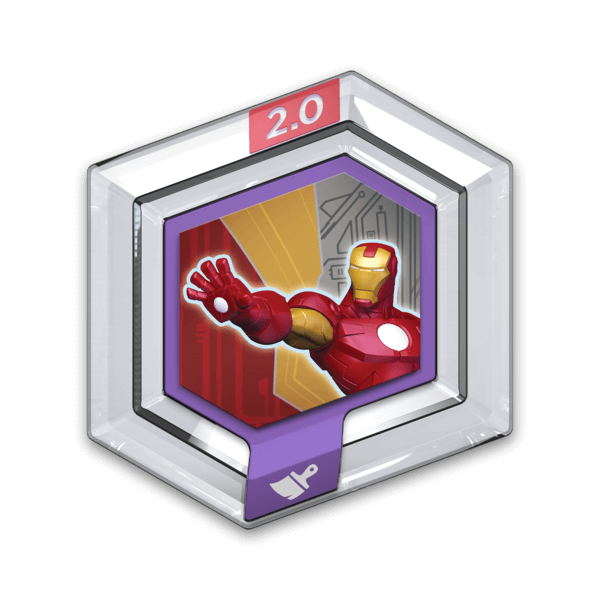 They showed some character development, revealing the evolution of the artwork to make it blend the Marvel style with that of Disney Infinity, working together with the game’s designers. Quesada calls Disney Infinity Marvel Super Heroes “one of those evolutionary leaps” for the company that has successfully expanded from comics into movies and TV shows. Just like the original Disney Infinity, the Marvel characters of Disney Infinity will arrive via physical figures that interact with the game. 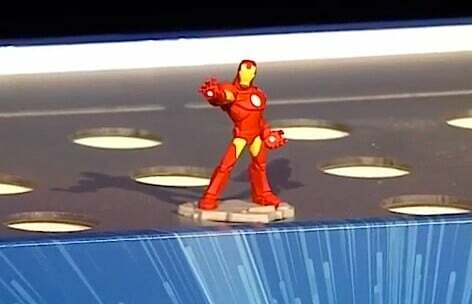 There are “over a dozen” more figures to come. Figures, power discs, base, and Toy Boxes from the original Disney Infinity will be fully compatible with the new Disney Infinity Marvel Super Heroes. 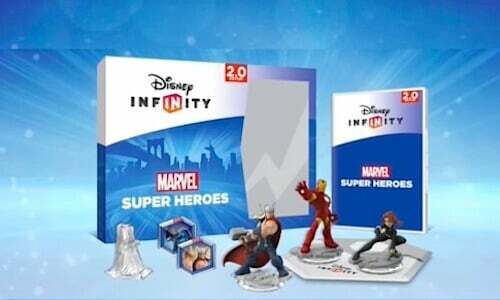 The Disney Infinity Marvel Super Heroes Starter Pack comes with three heroes plus an “Avengers” play set piece. 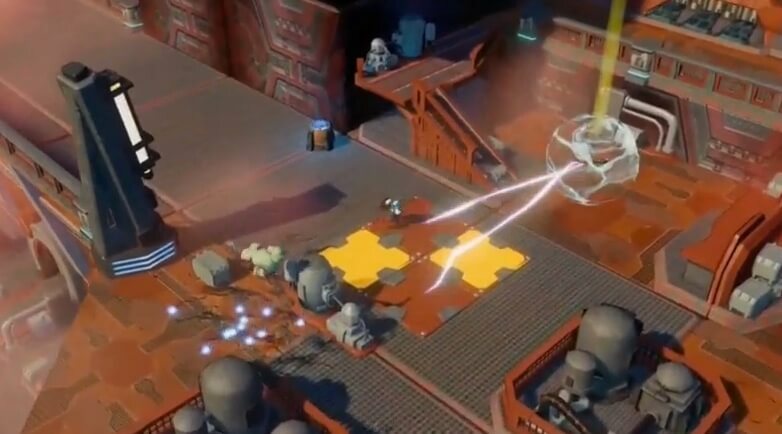 In addition to the classic gameplay, there will be Toy Box Games added for more gameplay, including tower defense and dungeon crawler options. 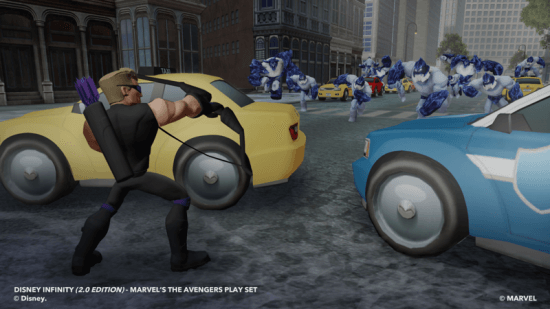 The “Avengers” play set will feature Marvel Manhattan, four times larger than the previous version’s largest play set (The Incredibles). 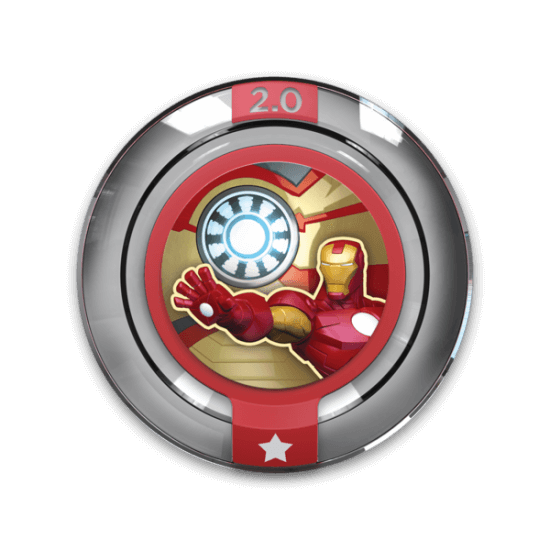 There will be recognizable locations from Marvel movies, like Stark Tower. 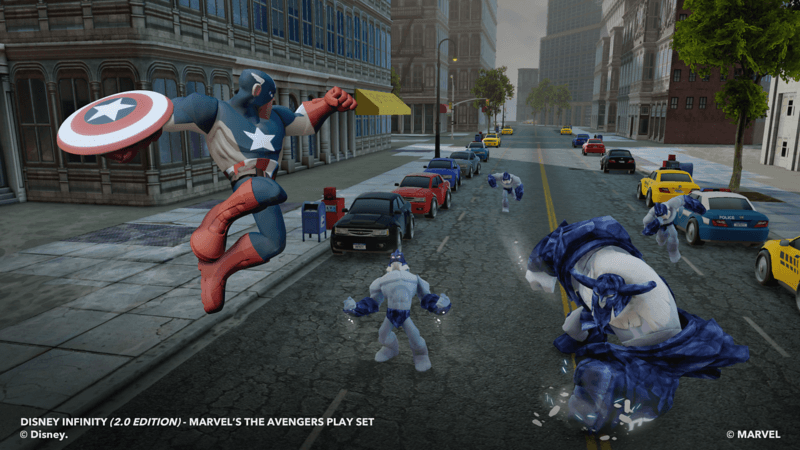 Gameplay is enhanced with more locomotion options for each superhero. 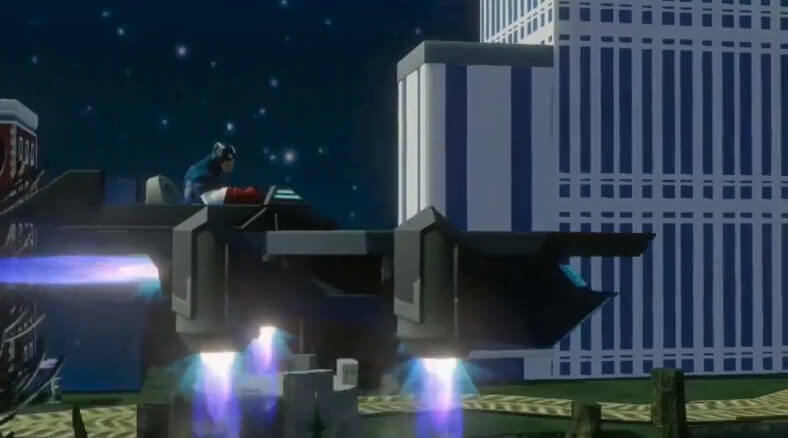 There’s hover and forward flight modes, both featuring combat, plus a super jump feature and wall climbing for certain characters (Hulk, Spider-Man). 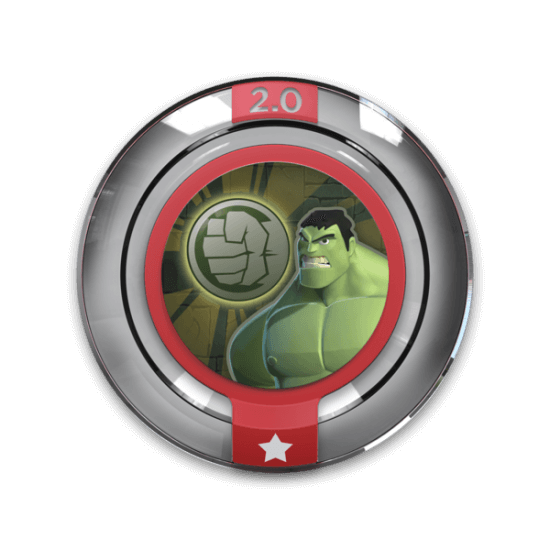 Combat is further enhanced with special moves for each character with new animations that match each character’s abilities. 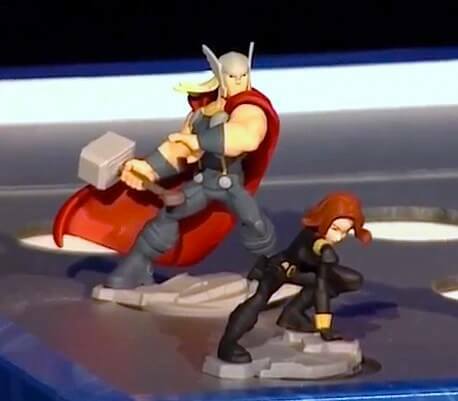 Black Widow is a melee character while Thor and Captain America are brawlers, each featuring difficult moves. 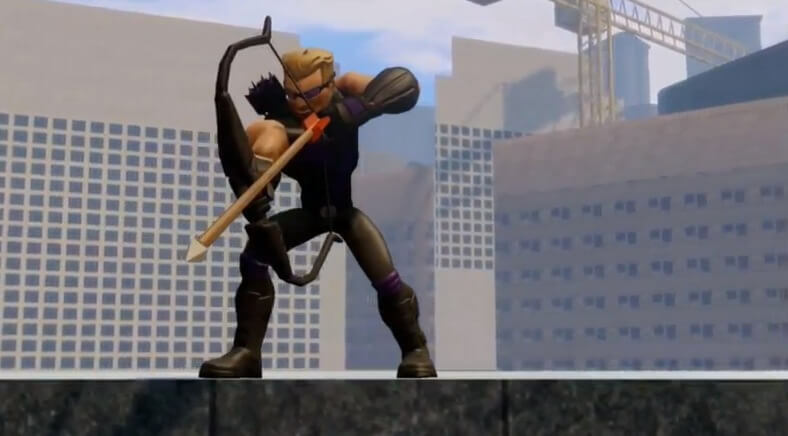 Hawkeye is a range character, where battle is focused on his bow. Characters have upgradable abilities, like Hawkeye’s bow and Cap’s shield. 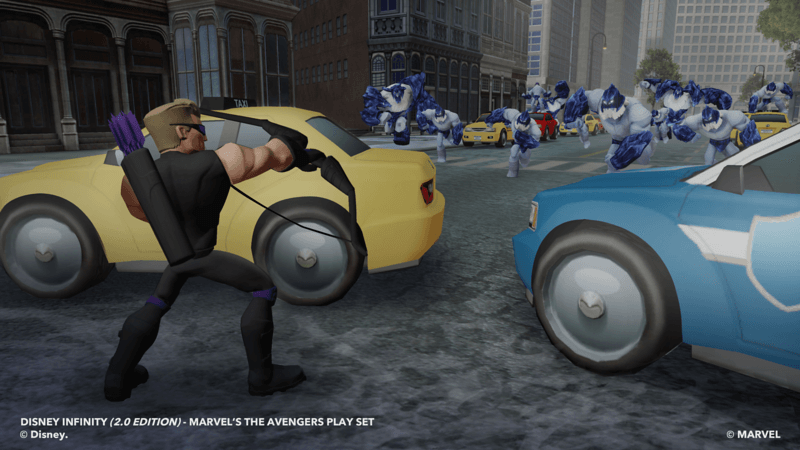 The Toy Box mode in Disney Infinity Marvel Super Heroes has been altered with the addition of structured play. 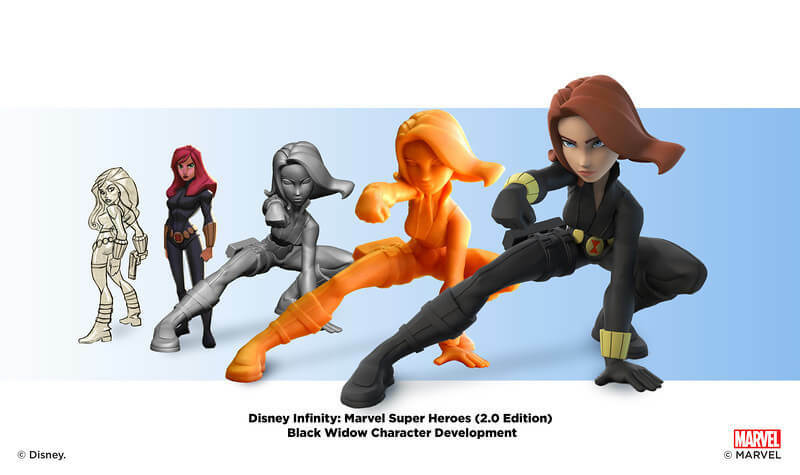 It’s not solely a do-it-yourself mode like the original, which Disney Infinity creators describe as “complicated” and admit they may have “missed the mark” a bit with it. 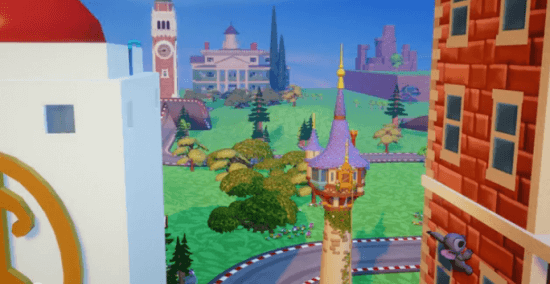 A new brush system allows easy creation of cities, race tracks, dungeons, castles, tree houses, and other widespread structures. 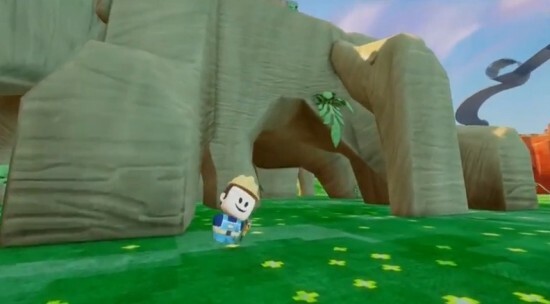 New “builder” characters will help players build up worlds in the Toy Box automatically, though everything they create will be fully editable. Interiors are also added to Toy Box mode, enabling further customization of elaborate structures, both inside and out, filling them with props and decorations. New tower defense levels include Asgard from “Thor,” enabling a battle across the galaxy within Toy Box mode. Dungeon crawler levels are automatically generated, allowing players to explore, scavenge, and battle through vast randomly created worlds, all within the Toy Box. 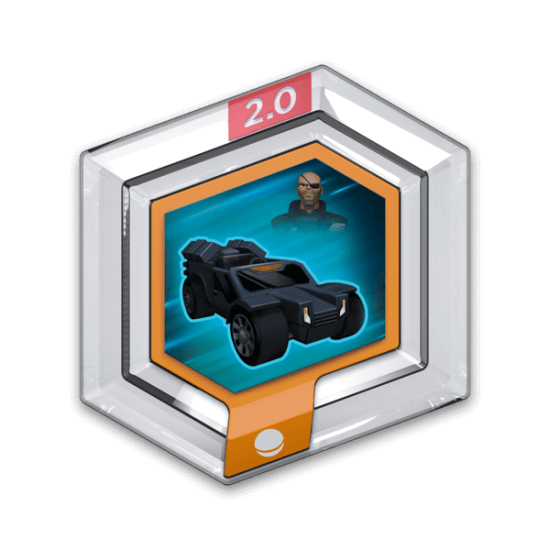 Game creation within the Toy Box mode will be more robust and easier to use, allowing players to develop their own unique play modes. There will be more user generated content to come and Disney Interactive is beginning to hire expert Toy Box builders to work for them to develop even more downloadable content. 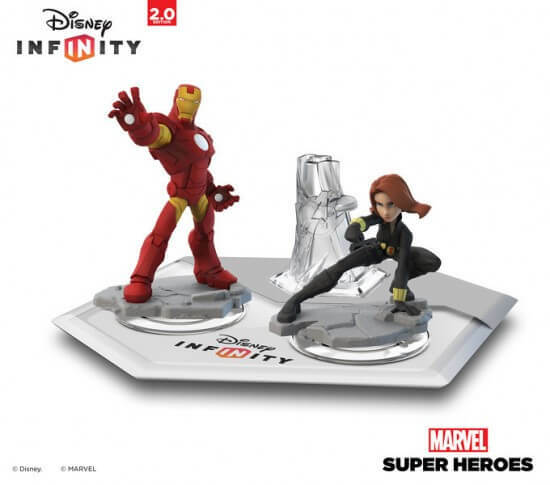 In addition to all the Marvel goodies, it was revealed that more Disney characters are on the way for Disney Infinity 2.0 as well. Brief glimpses of Maleficent, Merida, and Stitch are seen in the trailer. I too will be first in line for this…also for my son! Will have to get a son!, currently using my friends son as an excuse. 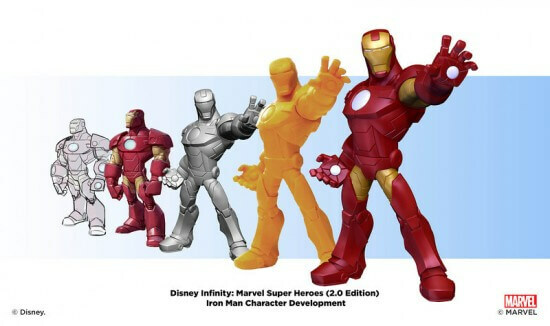 Question since they will be compatable with the original infinity will they sell a starter pack minus the base if one has the original already? Marty, I think you misunderstood the statement. 2.0 will be able to play the 1.0 characters but not the other way around. 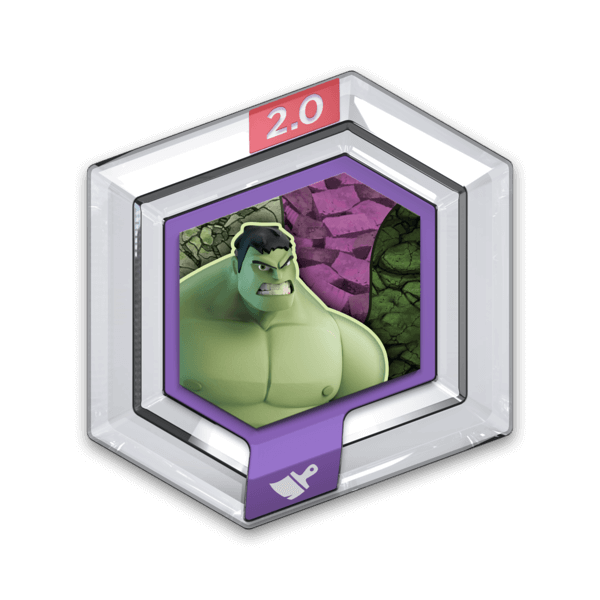 So you would need to buy the new base to play the new characters added with 2.0. Wow! So excited about this BIG step forward for Infinity. So glad they took user feedback to heart and made some really tremendous changes to the game. Very excited about this, but wish they provided some more details. 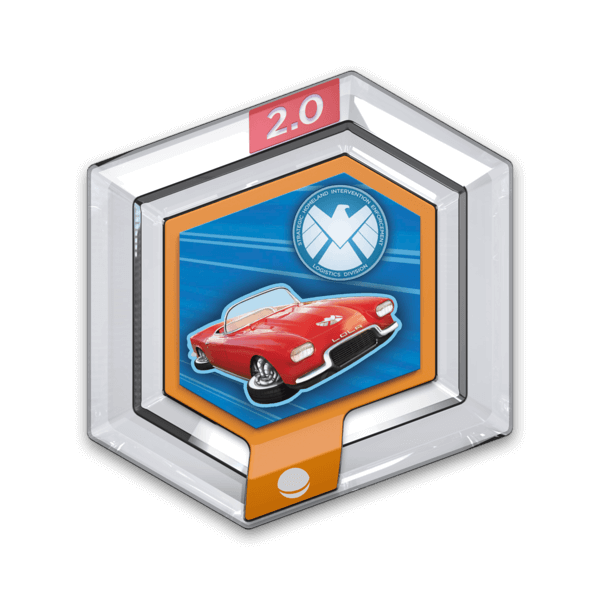 Like Marty mentioned, will original owners be able to get a starter pack minus the base (makes sense if it’s compatible)? 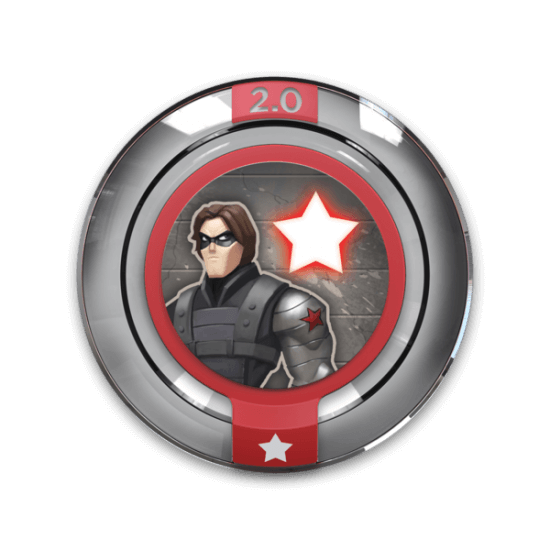 In addition, let’s announce more characters, as well as additional play sets. Characters that could only exist within the Toy Box were not as fun as those that had play sets attached to them. 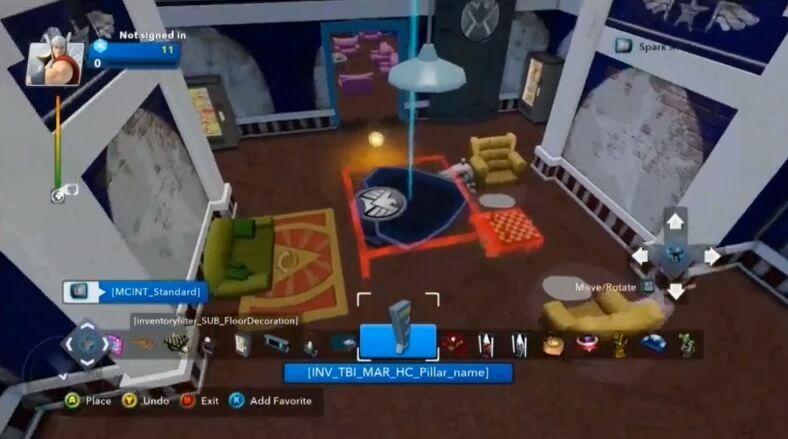 Also, will new play sets be able to have old characters in them, or are those going to be limited to only those characters in those game worlds (like the first one). I love everything about this! <3 They even employed a fan who had won son of the weekly Toybox challenges too1! Thank you Disney Infinity & Marvel for this edition 2.0! 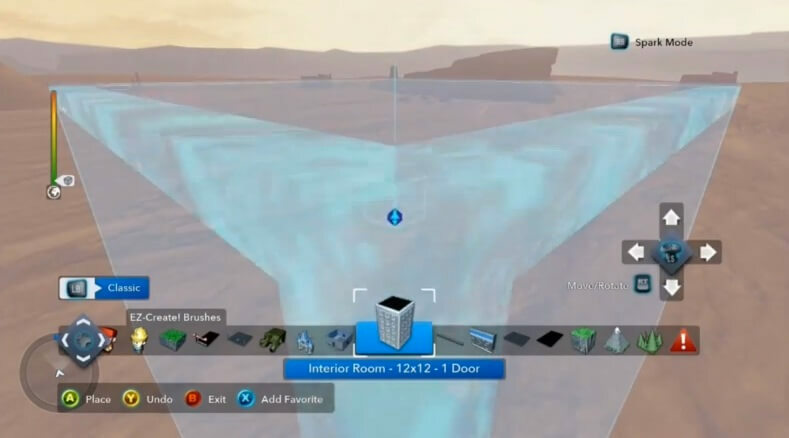 All the customs and even building inside the buildings! The character styling looks fantastic. And so glad to hear there’ll be new Play Sets as it’s been ages since one was released. I prefer the open-world but plot-based more structured game play of the Play Sets to the Toy Box. I have all the same questions already asked – especially compatibility issues. It’s not very “infinite” to have to buy a whole new system just months after the original is released – and a lot to ask of my 10-year-old son. Is the 2.0 edition strictly for Marvel characters? (ie: will new characters and worlds be released for the original?) All that being said, it looks incredible. I love the new features (particularly the tweaks to the toy box – more playing time and less tedious building), as well as the weapons upgrades. 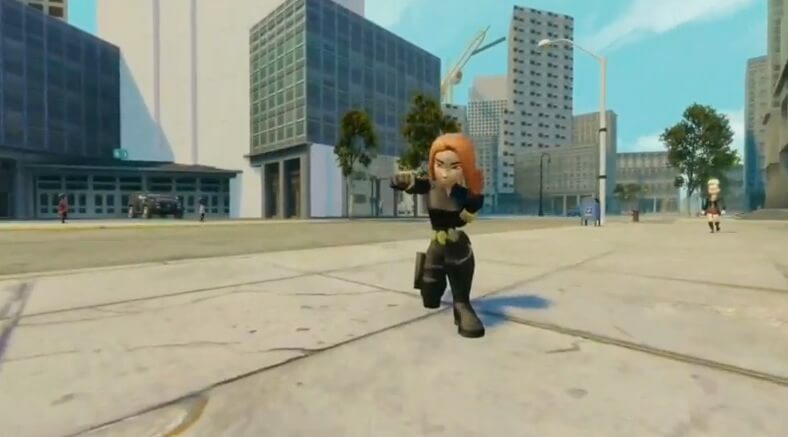 I knew that Iron man would be in it, and I’m also glad that Captain America, Black Widow, Hulk, Thor, Hawkeye, Nick Fury, Green Goblin, Loki, Spider-man, Louthour, Stitch, Maleficent and Merida…but wait, they said that there were releasing 12 characters…and there are 14 characters that I saw in the trailer…soooo…are there 14 or are there two characters that are not in the set. 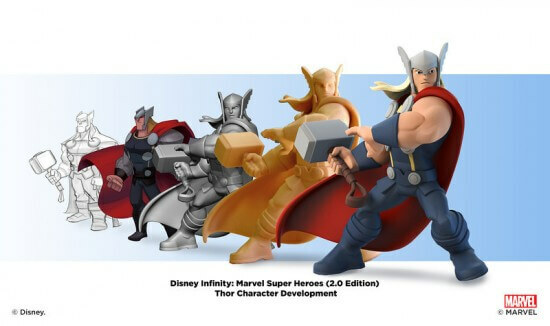 From what I understand, I think they meant that there will be 12 marvel characters plus “20” additional Disney characters! I wonder – they said ‘improvements to the entire cast’ – does that mean all of our old characters get attribute trees too? 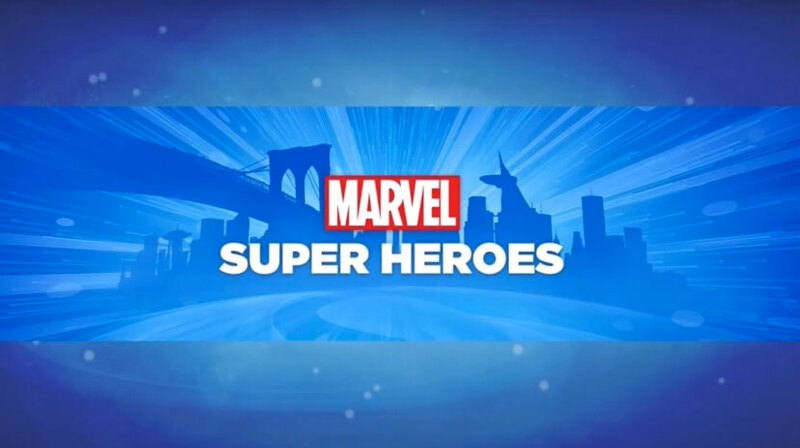 Will Rapunzel be able to swing through the streets of Manhattan by her hair alongside Spider-Man? but i arlready have the original disney infinity will us owners of the orginal have any base owners packs or something? 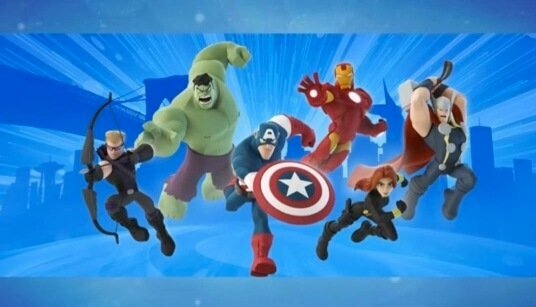 if i have the first starter pack can i buy just the heroes and combine them with the disney characters? Not very pleased that the marvel heroes will not be available on the WII. 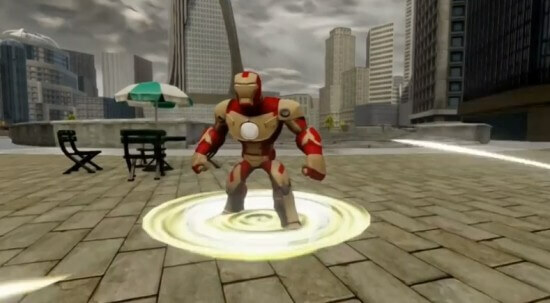 Have spent spent plenty of money on this game for the kids and they are excited about the new characters, but they will be upset when they find out we cannot buy them. 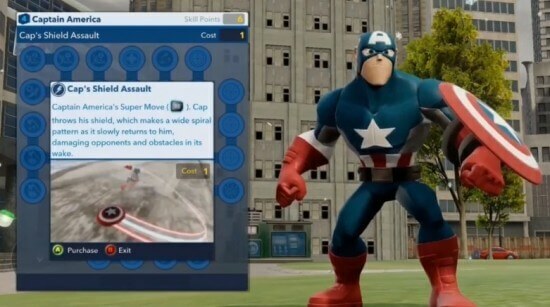 Please rethink and make it available for the WII, also. The Wii does not have the internal memory or graphics capabilities of the other system. We had invested in the Wii Infinity system back in August when it came out and by October had noticed the restrictions on game play and graphics. We upgraded the kids to PS3 at Christmas, which was not as costly as you would think, as I used layaway and black Friday price matches to make the affordable change with the new system and the Infinity game. You should think about upgrading to a Wii U. Nintendo is cutting all support for the Wii this month. Plus if you buy the Mario Kart bundle that comes out May 30th, you get a free bonus game when you register it. 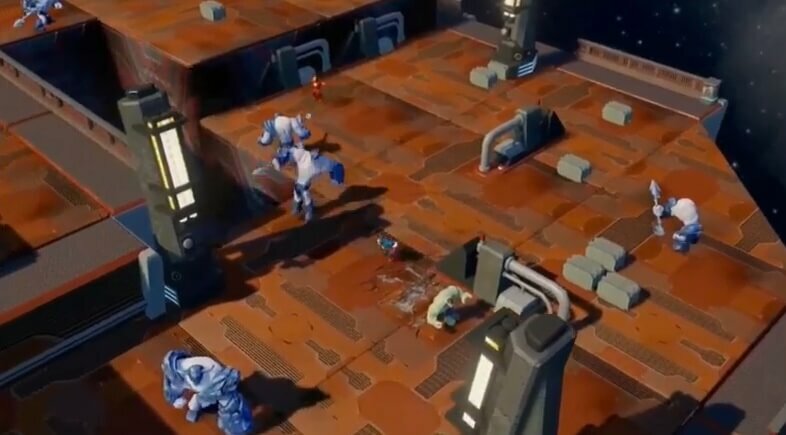 Saw the raccoon (Guardians of the Galaxy) thing in the video! This all sounds great but why is it not being release for the wii? 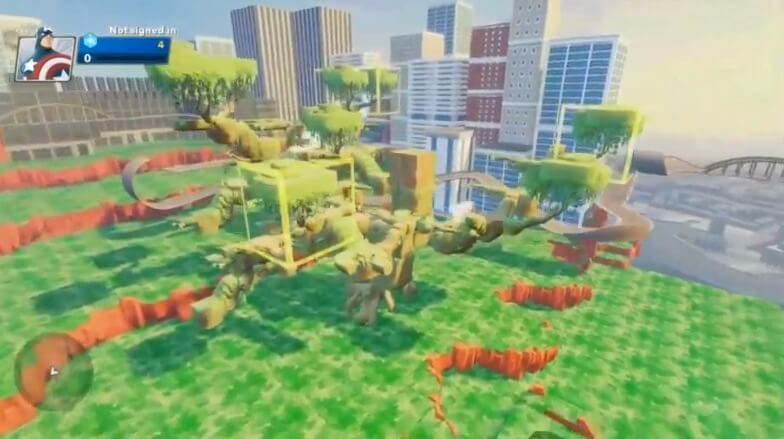 Evey other system that the original os currently avaliable for is list but the wii. 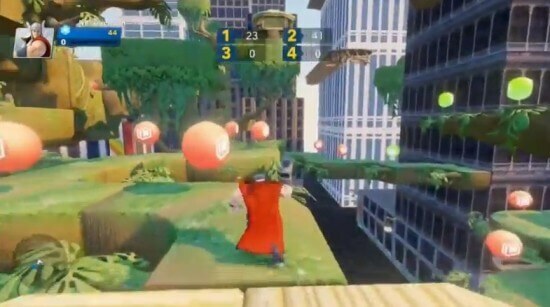 My little cousins love this game and they are going to want this version to but the syatem they own is the wii. Their mom is not going to buy another system just for this game. Now matter how fun it sounds. The Wii is an obsolete system and it’s honestly a wonder that the first game was released for it. 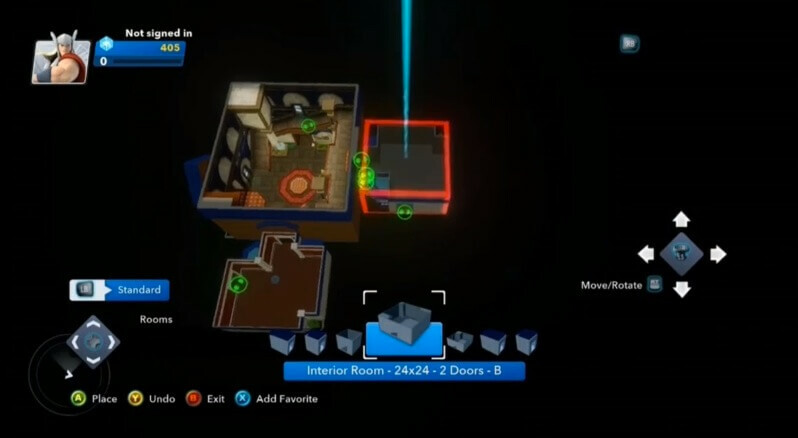 The Wii experience features not only uglier graphics, but also scaled back features like single-player playset play and limited Toy Box categories. I am not excited about this at all. I am not a Marvel fan so the main focus being on them is a major turn off for me. Plus I am guessing the “other Disney content” will be toy box only characters which is lame. On a positive note….very impressed with how much Disney listened to consumer feedback. 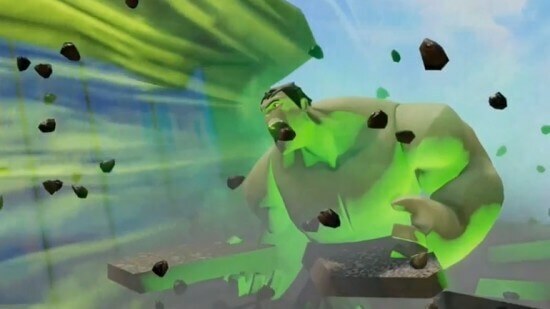 I just saw Green Goblin Ricky! 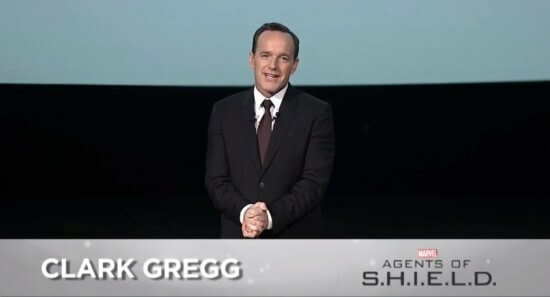 He’s in the trailer just before Spiderman!!! Yes! Finally someone writes about cheat for megapolis android. 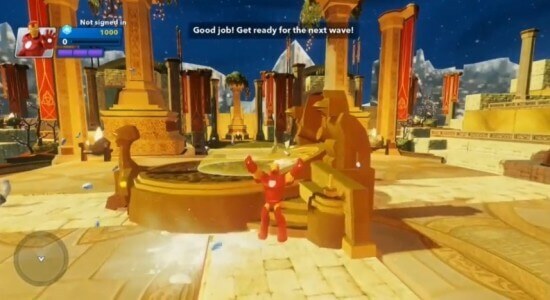 They finally get there heads out of there asses and make some descent figures and now they want us to buy a whole new game. 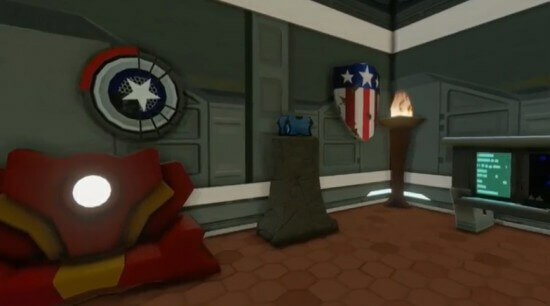 Come on Disney that isn’t even far. I really like this ideal. 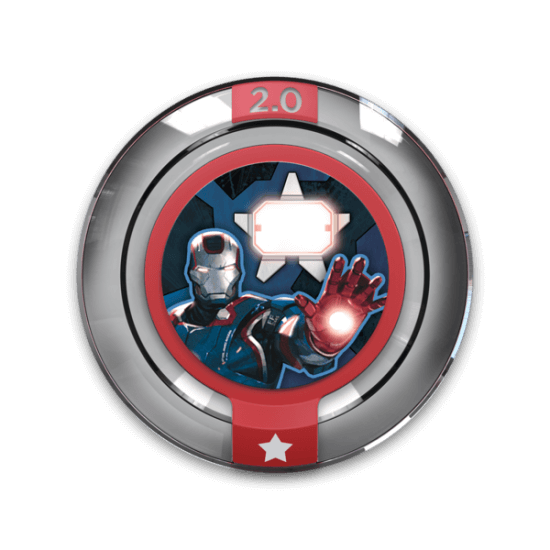 I have always been a big fan of marvel rather it be games, movies, or whatever.